It's very unfortunate that we must report another fallen cyclist. 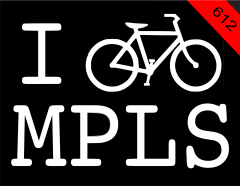 After spending months painstakingly rebuilding his bicycle, Dennis Dumm rode it every day from his home in south Minneapolis to work on the other side of downtown. Our thoughts go out to family and friends of Dennis. I don't understand how the driver got away without a ticket for at least failure to yield. Traffic going forward has the right of way to left turning traffic. I'm sure the driver feels very bad about this incident but without holding drivers accountable for their actions they will never take driving seriously and incidents like this will continue to plague us.